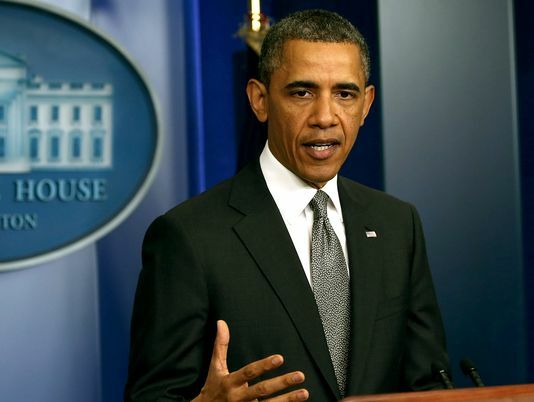 President Barack Obama has condemned the Boston Marathon bombings as a “terrorist act”. Barack Obama said attack, close to the finishing line, was “heinous and cowardly”, but that the motive and culprit were not yet known and no-one was in custody. Three people were killed, including 8-year-old Martin Richard, and more than 170 injured by the bombs. The FBI, which is running the investigation, has said there are no “known additional threats” to Boston. Massachusetts Governor Deval Patrick says an interfaith service will be held for the victims on Thursday morning, attended by President Barack Obama. In his first briefing after Monday’s attacks, Barack Obama had refrained from referring to terror attacks – a choice of words that drew criticism from some quarters. Barack Obama stressed it was not yet known whether an organization – either domestic or foreign – or a “malevolent individual” was responsible, nor what the motive might have been. “Everything else at this point is speculation,” he said. The first explosion went off close to the finish line at about 2:50 p.m. local time on Monday. Some 23,000 runners were taking part in this year’s Boston marathon, which was being watched by hundreds of thousands of spectators. The marathon is held on Patriots’ Day, a Massachusetts state holiday which commemorates the first battles of the American Revolution in 1775. Thomas Grilk, executive director of the Boston Athletic Association, said the race was “an integral part of the fabric and history of our community” and would go ahead in 2014. “We are committed to continuing that tradition with the running of the 118th Boston Marathon in 2014,” he said. The London Marathon – the next major international marathon – is to go ahead on Sunday, with police saying they have well-rehearsed security plans. The London Marathon organizers have said they will hold a 30-second silence at the start as a mark of respect for the Boston Marathon victims.